I don’t want to be involved in a mission-critical website whose failure would mean I would have to interrupt a vacation or day off or good night’s sleep. The future online store isn’t likely to be a success. In a previous job, I was responsible for maintaining police, fire, and ambulance dispatching systems. I stayed mostly sober through New Year’s Eve on Y2K with pagers and cellphones strapped to my belt, and have years of experience in being responsible. I have been on-call 24 x 7 enough in my life. So, a potential store owner would have to accept that my help is in set up, but not in daily operation. And, most people who have asked me to create a store for them have admitted that they wanted full support. But, even when someone understands my limitations, I quickly back away. Typically, the store owner has the expectation that a crowd is going to beat their virtual door down and buy lots of stuff from them. They have this expectation though there is no reason for someone to visit their site. Their goods and services are commodities available from 4700 other places. They have no special expertise in what they are selling. Their competition is entrenched, large, and able to offer better pricing. They have little or no supplementary information to help entice people to buy or understand their product. Additionally, most of the would-be online store owners can only spend a few hours here and a few hours next week on their store. They want someone else (me) to set up their shipping logistics, their price lists, their… well… everything that a store owner/manager has to do. I want to provide good value to my clients. And, frankly, I think that most of the people who have asked me to help with stores are going to spend money and have little to show for their effort. So, I decline to take on a future unhappy client. However, this spring I was asked to help with a store by Andrew Scoular, an owner who has unique products, understands business, and also understands that what a store owner has to do cannot be delegated to a webmaster. Helping Andrew set up Sensitive Skin Clinic has educated me on skin care and on e-commerce features. In the next series of posts I’ll share what I’ve learned to help you decide if running an online store is a business activity you’re ready for. Check out what Andrew is offering and how. Then come back here over the next few days to learn what Andrew and I discovered together. And, please leave your comments if you have questions or specific topics you want covered. I dislike websites that flash, beep, boop, and distract the visitor with unnecessary movement. I especially dislike Flash. Unless you are creating a moving story about your service or product, animated objects can make your site look comic-book-like. Plus, Flash and some other animation techniques are terrible for both search engine optimization and human user interaction. Fortunately, instead of jumpy, gimmicky graphics, more and more sites are publishing elegant slideshows to inform visitors. Check out the different options WOW Slider offers, and pick the ones you like best for your site! Okay, okay! I know that most business people hire web designers based on how the designer’s other sites look, on friends’ recommendations, on price, on schedule, and on phase of the moon. Nowhere on the list of standard qualifications is a designer’s adherence to standards and their ability to make a site easy to maintain. I sense that starting a crusade for standards and maintainability in web designer selection would be losing battle. First, it’s hard to care about what you cannot see. And, more importantly, clients of web designers generally don’t have a way to know if a site is well done or not. Still let me give you one question to ask your designer. Ask them if they will use templates to create your site. Why do you care if the designer uses templates? Because templates will save you a lot of money later on when you change your site. Templates specify common text and structures. Things like the banner on the top of your page, the footer on the bottom with the copyright information, the navigation menu, and the width, color, and fonts of the columns on the page. When designer starts a website with a template, they design, write, and arrange the common elements one time. The template also specifies what part of the layout and information will change on each individual page. The designer creates pages from the template by updating the changeable area with what makes that page unique. They change the common area of all pages by editing the template. I recently started to do Search Engine Optimization work on a great looking site with 15 pages. To attract Google I needed to add tags to the navigation bars that all pages shared. I also wanted to update the footer, and add information to the page banner that appears throughout the site. If the site had used templates, I would have only had to edit these areas one time. It would have taken 15 minutes to edit the template, and then I would have updated the common area on all pages with one SAVE. But, this site — and most of the web sites I have been asked to work on — didn’t use templates. 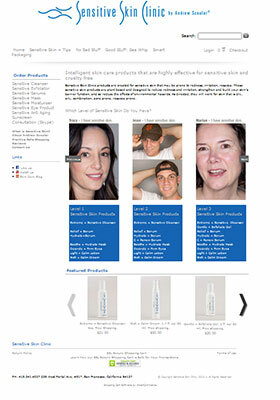 The designer created the site’s first page with all the look and navigation. Then the designer repeatedly COPIED that first page to new files where the designer edited the information for all the other pages. To change the common areas on this non-template site, I had to edit 15 different pages. The changes took a lot more time (and client money) than they would have if there had been been a template. As a business owner, maybe you don’t care or even want to how your original designer create your site. You don’t care, that is, until you want to update the site! Insist that your site is designed using templates so that your able to change your site without a lot of developer time and your money.